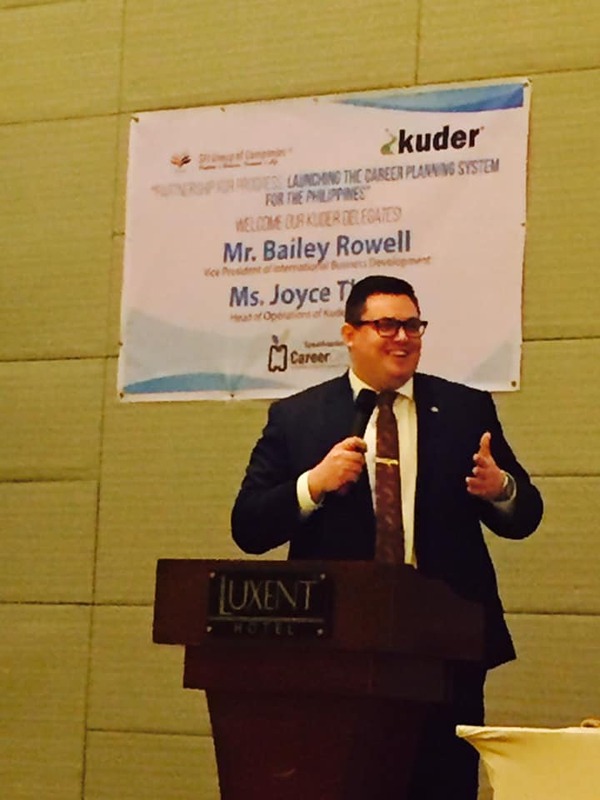 In the Philippines, research shows that there is a lack of career guidance for students. Take for instance those students who are not really sure about their career path and simply happen to enroll in a course because it is popular (ex. BS Nursing, BS Accountancy) or simply took that course because their parents wants them to follow in their footsteps (ex. family of doctors, family of lawyers). With this partnership, we are aiming to enhance Human Capital Development. "Dream big, plan accordingly," said Ms. Gina Jusay, SFI Career Center Director. 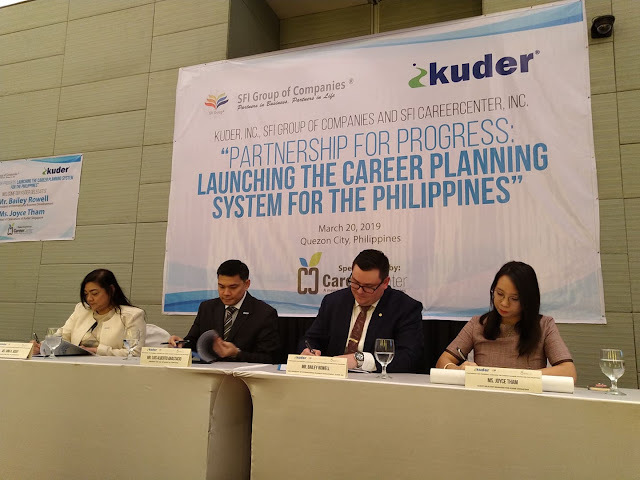 Kuder Inc. has decades of experience when it comes to providing tools and assessment for career professionals and students. 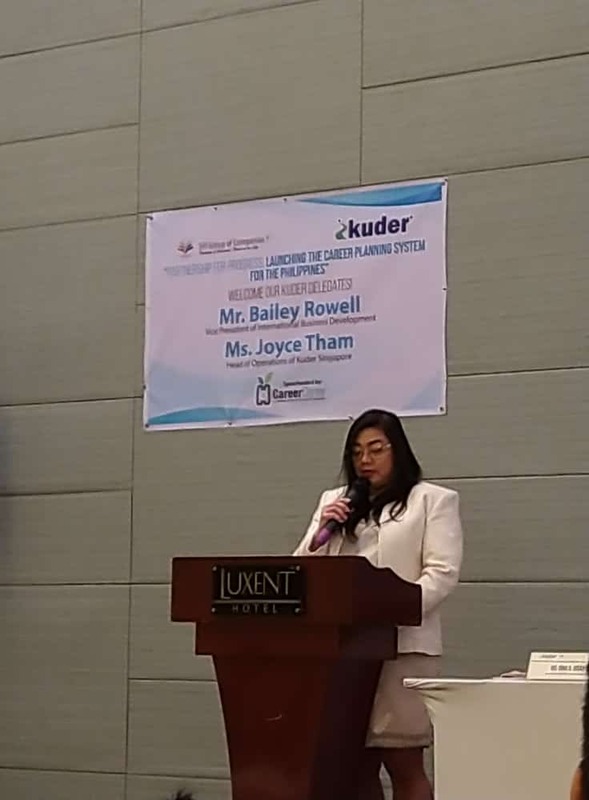 Thru this union, there will be improved professional guidance and support for individuals that will help bring their skills to meet their passion and interest. This will help students become aware of the different career options. Thus, achieving not only a successful career but a fulfilled life for the individual. Mr. Bailey Rowell, VP of International Business Development at Kuder Inc. introduced Kuder Inc. as a global authority that provides tools and research that helps assess students as young as those in kindergarten. It has impact a lot of lives around the world. The Kuder career assessment method is developed with that idea that you cannot teach people what they are interested in, you cannot teach them what they are passionate about, that is something that needs to be discovered. The assessment method "helps people discover their interest , their passion and understand how that does relate to career opportunities they have in front of them. from there, that's how people find their true north," added Rowell. "Once you found what you are interested in, then you you can have the skills to match those career aspirations. because even if you have the skills but is not really interested in it, then don't choose that career path because you won't be happy." 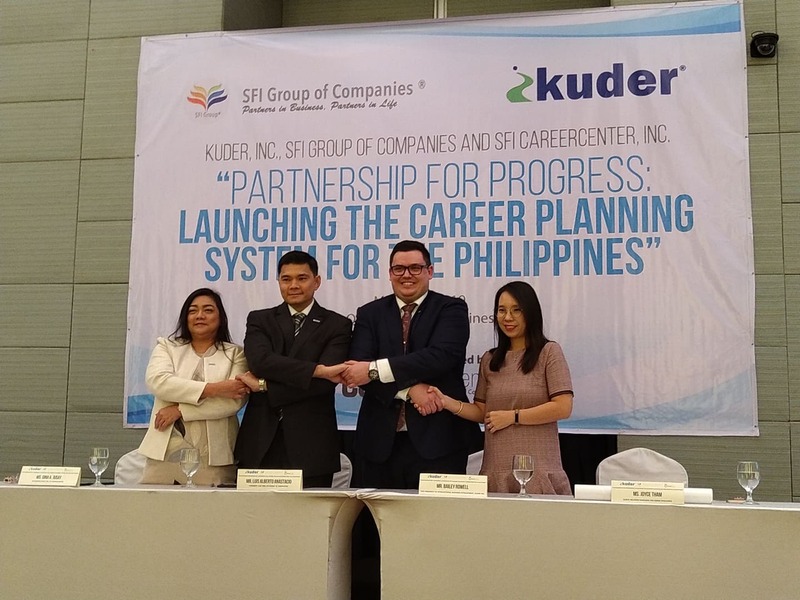 This Partnership for Progress between SFI Group and Kuder Inc., other partners such as local government institutions and Career Development Association of the Philippines (CDAP), Career Guidance Advocacy Program (CGAP), DOLE, DepEd, Philippine Chamber of Commerce and Industry (PCCI) and Employment Confederation of the Philippines (ECOP), they will develop a special curriculum aimed at career practitioners for added training and certification, and develop the first national career development strategy for organizations.